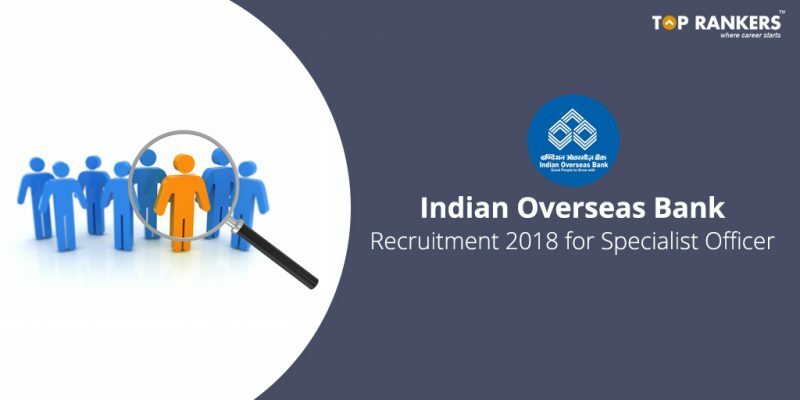 Indian Overseas Bank Recruitment 2018 for Specialist Officer – Indian Overseas Bank has published notification for the recruitment of Specialist Officers (Manager & Sr Manager) vacancies. Check the vacancy details, eligibility criteria and much more. Good News to all the bank job seekers! Indian Overseas Bank has released recruitment notification for eligible and reliable candidates as Specialist Officers for Information Security & Information System Audit in MMG Scale II & MMG Scale III. The application process has already started from 21st July, 2018. So, hurry up and apply for Indian Overseas Bank Recruitment 2018. In this article you will find necessary information regarding Indian Overseas Bank Recruitment 2018 and necessary information regarding the same therefore, read carefully. On qualifying the Online Examination you would be called for personal Interview. Click on the direct link provided above to apply for your desired post under the Indian Overseas Bank Recruitment. Enter all the required details in the IOB Application Form. Upload photographs, signature and required documents as per the specifications. You are advised to verify every field by clicking the “RECHECK” button. Take a print out by clicking the “Print your Application” & save the printed application form for future reference. Bond Amt – Rs 1,00,000 for rendering service for a minimum period of 3 years. Once selected you will be on probation for a period of 2 years of active service from the date of joining the Bank. We have mentioned all the eminent information for Indian Overseas Bank Recruitment 2018 for Specialist Officer. We are sure that you are working hard to clear the Indian Overseas Bank Recruitment 2018 for Specialist Officer examinations, and hence, we are confident that your efforts will be rewarded. Just keep going!